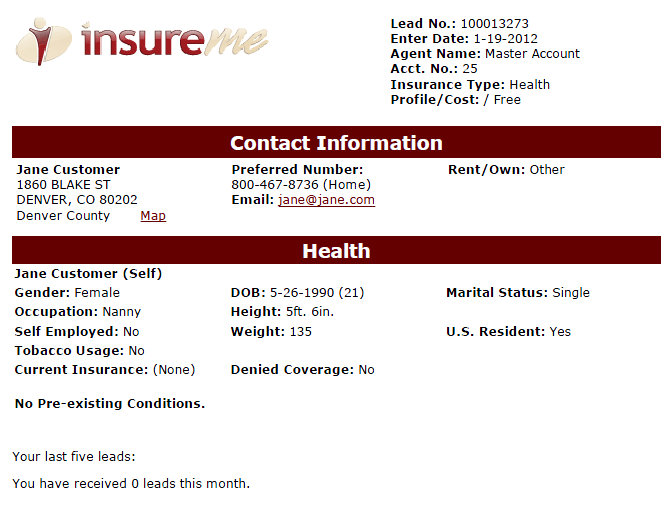 Update: InsureMe is now part of AllWebLeads. For a full list of recommended vendors please see our insurance lead companies page. 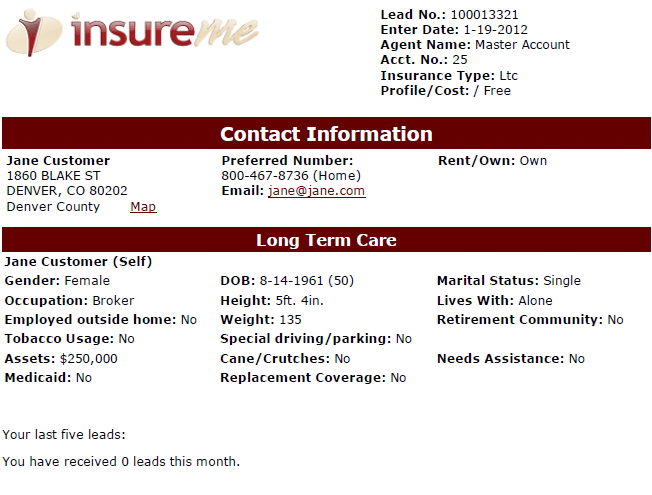 InsureMe for Agents has quickly grown to become one of the leading insurance lead providers in the industry. This is the result of providing a high quality product all around with excellent tools, service, lead volume and features. One of InsureMe’s industry leading tools is their Agent Connection system that provides an “always on” web application for real-time lead delivery faster than email. This can be critical when competing for a lead as the first responder statistically has the highest probability of closing the sale. One of the features that is most appealing about InsureMe is their pay as you go platform that doesn’t lock agents in to buying a set number of leads. Lead quality is also a major reason for the companies’ success and that starts on the consumer side of the quoting process. 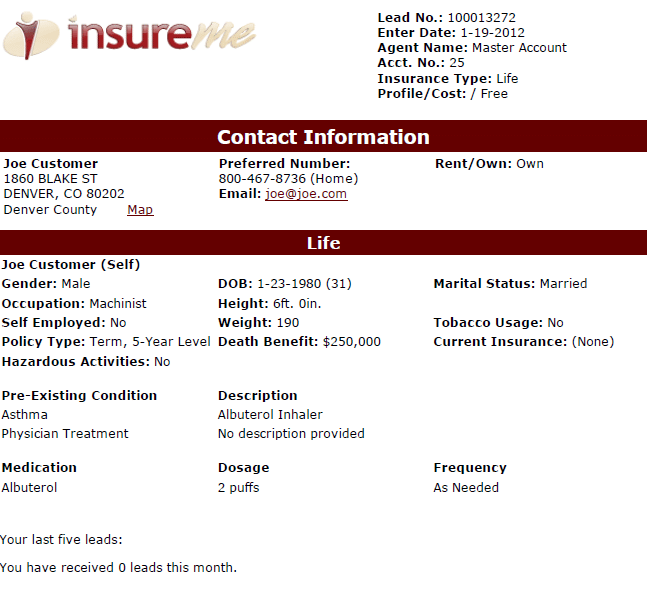 InsureMe offers highly detailed leads thanks to an extensive quote application form that does an excellent job of pre-qualifying prospects and weeding out those that are not serious about buying insurance. The company provides a value pricing structure that can range from $5-15/lead depending on lead type and location. InsureMe offers a comprehensive list of over 700 filters which can increase the price of a lead. Leads are a limited to a max of 8 agents each and typically average out at around 3 agents per lead which is quite low. Prices at time of posting. Subject to change. Ability To Adjust/Pause Lead Flow? Returns Available For Bogus Leads? 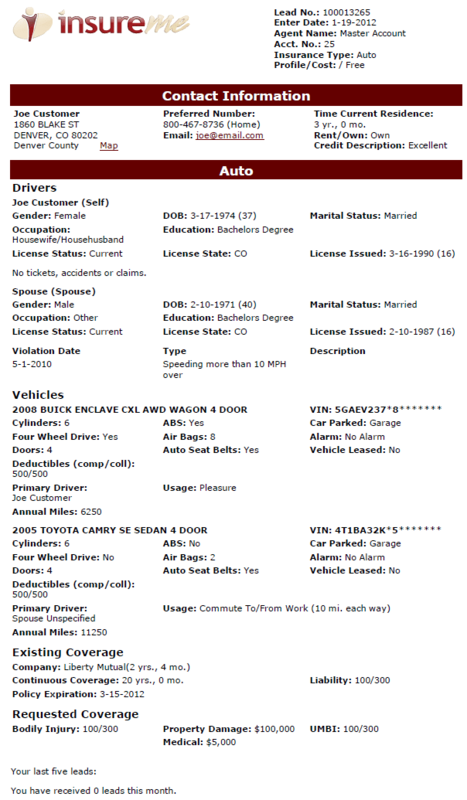 InsureMe offers extensive standard and a la carte filters. With over 700 filters available, InsureMe offers more than any other provider in the industry. 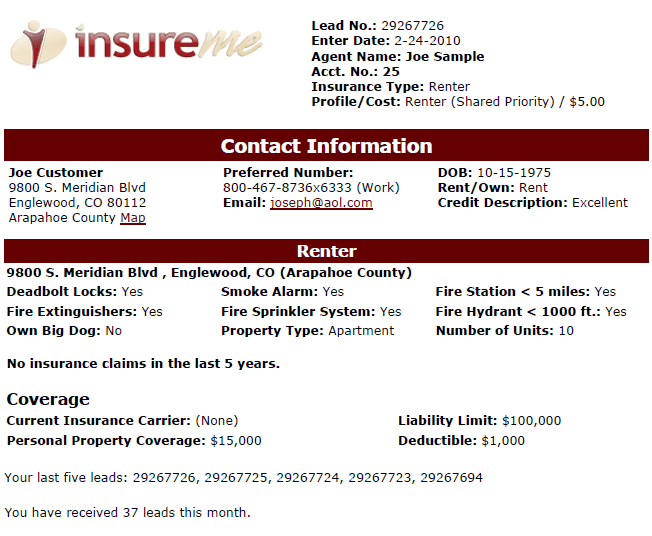 InsureMe is now part of AllWebLeads. 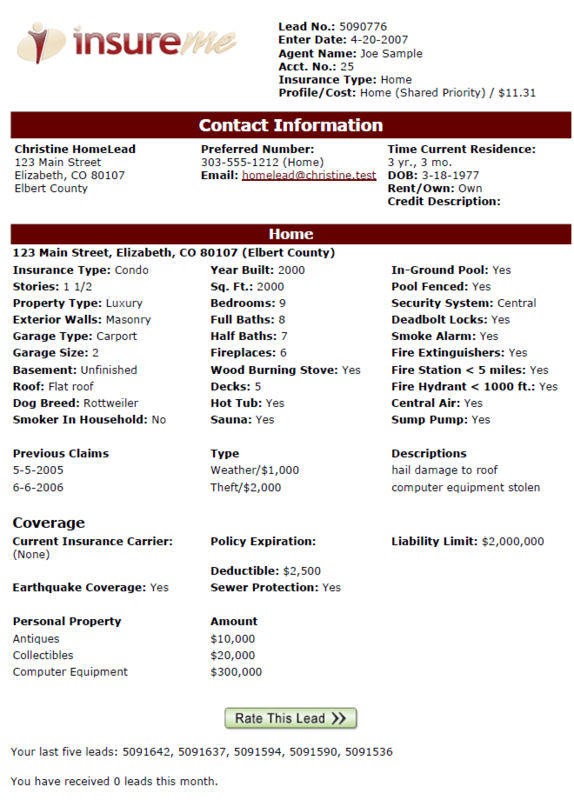 For a full list of recommended lead vendors please see our insurance lead reviews page here.